The White House on Friday cleared the CMS to scale back efforts to evaluate Indiana's conservative approach to Medicaid expansion. The move could prevent the agency from gathering adequate data to determine if the state's method of expansion harmed access to care. The White House's Office of Management and Budget granted the CMS permission to eliminate an Obama-era plan to survey beneficiaries of Indiana's Medicaid program, known as Healthy Indiana Plan 2.0. The survey would have gathered information from current and former HIP 2.0 beneficiaries on their experience in the program, including paying premium contributions, obtaining health savings accounts and being locked out of benefits if they failed to pay their premiums. OMB's decision comes just two months after the Government Accountability Office criticized the CMS for not ensuring programs launched under 1115 Medicaid waivers are adequately evaluated. Former HIP 2.0 enrollees would also have been surveyed to find out what led to their exit and whether they were able to find other forms of coverage once they left the program. Instead, the agency will forge ahead with plans to conduct focus groups of HIP 2.0 enrollees to hear about their experiences in the program. The CMS aims to talk to 98 beneficiaries as part of its evaluation, versus more than 5,000 the Obama administration aimed to speak to across both focus groups and surveys. There are 438,604 enrollees in the state's Medicaid program. 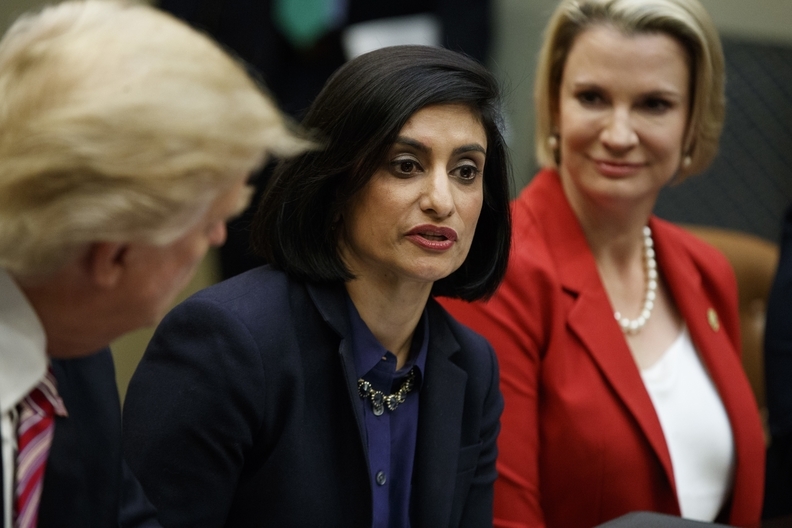 CMS Administrator Seema Verma developed HIP 2.0 and recused herself from weighing in on any decisions involving the program. Vice President Mike Pence was governor of Indiana when the program launched in 2015. Ultimately, the Obama administration was never able to perform its evaluation, as Indiana officials feared it would not adequately protect the patient data requested for the analysis. The CMS did not elaborate to OMB why it sought to scale back efforts to evaluate HIP 2.0 and called eliminating the beneficiary surveys "a non-substantive change" in its request to the executive branch. The agency also did not ask the OMB for permission to amend focus group materials to ask about the impact of the state's newly granted work requirement for all able-bodied HIP participants. A spokesman for Indiana's Medicaid agency did not return a request for comment. Researchers worry that the CMS' actions means there won't be a robust evaluation of the Indiana approach's impact on Medicaid expansion, especially its lockout provisions. "The fact that ex-beneficiaries will no longer be surveyed further restricts the ability to get the full picture of what is occurring," said Judy Solomon, a vice president for health policy at the left-leaning Center on Budget and Policy Priorities. The Obama's administration's planned sample size and intention to conduct surveys would have likely yielded results that were more statistically relevant, according to David Machledt, senior policy analyst with the National Health Law Program. "The problem with focus groups alone is that you can't tell if issues raised in them are systematic or anecdotal," Machledt said. It's critical to get a thorough evaluation of what's taking place in Indiana as states look to it as a model for their own Medicaid programs, according to Dee Mahan, director of Medicaid initiatives for Families USA, a consumer healthcare advocacy group. Ohio and Kentucky are two states that have used the state as a model to tweak their own programs. Others felt that even with a scaled-back study, the CMS could still glean pertinent information from Indiana about the impact its expansion approach has had on Medicaid beneficiaries. "Surveys were just one element, and getting rid of them is not enough to make or break an evaluation" said Doug Badger, a senior fellow at the Galen Institute, a conservative think tank.